Wall To Wall Construction | Is Your Contractor EPA Lead Certified? Is Your Contractor EPA Lead Certified? The U.S. Environmental Protection Agency’s Lead Renovation, Repair and Painting, or Lead RRP, rule was created to safeguard children and pregnant women from exposure to lead-based paint, which can lead to birth defects, learning disabilities and slowed growth. Contractors performing renovation, repair and painting projects that disturb lead-based paint in homes, child-care facilities, and schools built before 1978 are required to be certified and must follow specific work practices to prevent lead contamination. To follow the RRP rule, remodelers first must have their company and someone on staff certified in lead-safe work practices. Expand your homes living space with our award winning design-build team by adding an addition to your current home, renovating your existing floor plan or constructing you a custom built new home. Our award winning team is ready to make your dream kitchen a reality. We can assist you with everything from a small upgrade to an entirely new kitchen. We have solutions to accommodate all budgets. We can meet the needs for any bath style and phase of life with our effective bathroom solutions. Whether it’s a master bath, kids bath, powder room or guest bath we can design & build you a beautiful space. Expand your homes living space into the outdoors. We can help you create outdoor spaces where you will want to spend all your time. From simple porches, decks and patios to elaborate façade makeovers and outdoor escapes, we have you covered. Let our team help you re-invent overlooked, underutilized, or outdated spaces in your home by finishing a lower level basement, re-configuring a problematic floor plan, or reviving your interior spaces. Is it time for some overdue improvements to the exterior of your home? We offer professional services for all the exterior needs of your home including roofing, siding, windows, doors, gutters and more! 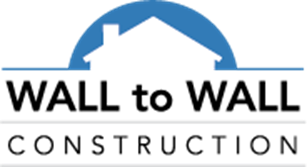 Wall To Wall Construction, LLC launches new trade name for its exterior division... Hail To Spring!